Attention readers, there is an end of vintage clearance sale at Cost Plus World Market! The guy working in the wine department at their Walnut Creek store highly recommended this bottle, and since it was half price I almost bought two! But, I only bought one. As soon as I opened it and poured it into a glass, I regretted my decision to only buy one and may have to go back if they still have any bottles left. 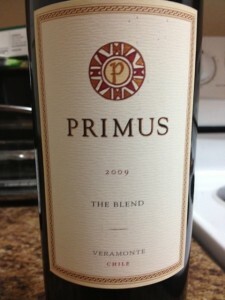 This wine is very aromatic and smells rich and gorgeous. Chewy cherry and blackberry, with some oregano and forest smell. This tastes ripe and rich, is powerful but easy drinking. Finish was a bit chocolately with lots of that cherry lingering. 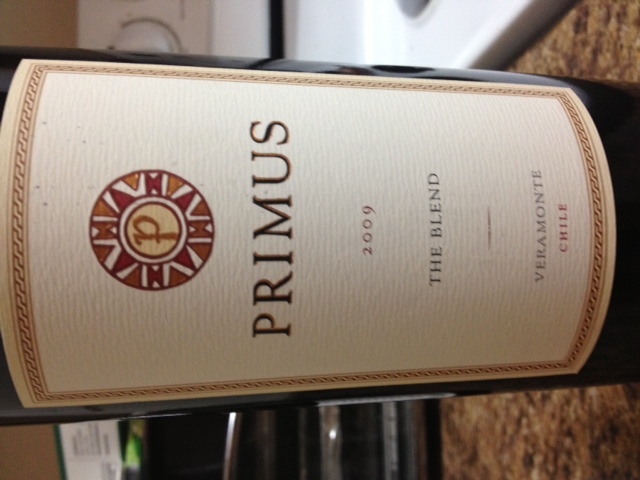 Cabernet/Syrah/Carmenere/Merlot… I’m digging The Blend. $8.99/bottle at World Market. If you see if at this price, buy a case!